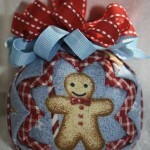 Now is the time to start working on those Christmas crafts. We all know that ornaments are one of those Christmas decorations that never ever go out od style and Christmas is the time when hand made items are so cherished and desired. 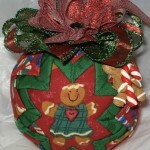 For those of you that are Gingerbread lovers and collectors and have family and friends that are too, here is a project for making quilted gingerbread man ornaments that will surely make excellent gifts and decorations for many years to come. 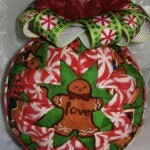 You can find the instructions to make these Quilted Ornaments here.